I have a news bug since today on galaxy external view. According to your log you're using driver version 14.5, so no you didn't do everything that was recommended. Install driver version 14.4. Try the dll file in the OP and see if that helps, it should fix other issues with AMD drivers. And double check to make sure that you made the recommended config edit. And delete the cache folder. how i make the recommended config edit? Just follow the instructions (which you said you already did). But first, download the dll file (again, just follow the instructions). I`m Havving some black screen problem. I Start the game and after a few minutes all the screen goes black (Except the HUD). I read a old post about it but i dont find any fix for the problem. The only "Fix" is reinstall the game. I`m Sorry if somebody ask for this before but i can`t find any post related to this. 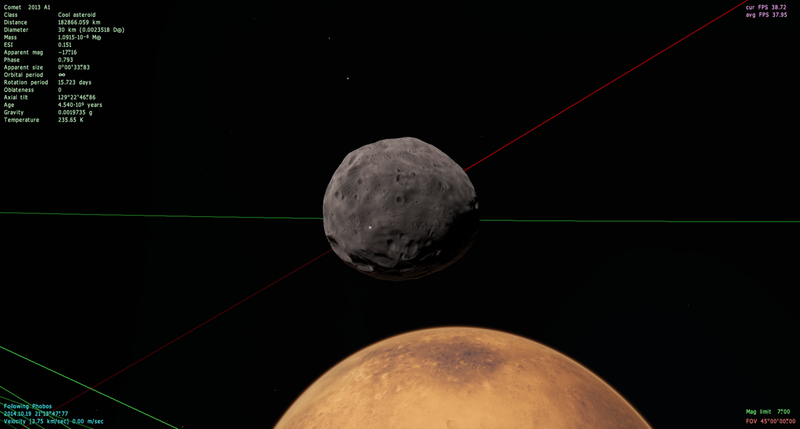 So I recently reinstalled Space Engine because I learned of the new update and also got a new HD, but the problem is when I click a star, press G to zoom onto the star, the game usually has a 60% chance of crashing, I don't even get to view the star or render it yet, it's just when I get close enough to render the Star. The same goes for Black Holes, but this is a 100% chance of crashing, every time I go ANYWHERE with a black hole involved, instant crash. There was only ONE time it didn't crash, but the black hole was invisible. Hey, I just installed the game and i cant open it. Right after the installation it says "Spaceengine has stopped working". Same when i try to open the .exe file. It's installed in C:/programfiles. EDIT: I think I've found that .97 has some vram issue. Please note this is nothing to do with the GTX 970 3.5 GB thing recently. It's not my card. My issue with heavy HDD activity started with .97 long ago when I was using a GTX 580 (best GPU back then). My GTX 580 and 970 run SE .96 - 96.2 very well, I can even have max vram or 95% in main.cfg, no issues. I don't have any issues with other games. My tests show that I have to use 50% vram in .97 onwards to make it useable. This doesn't actually half it though, more like knock it down to 20-25%. Setting it to 70-80-90% seems to allow more than it should and causes issues. Please note again I don't have to do this in .96. I've been using SE for a long time and setting to 85-90-95-98% in .96 versions hasn't been a problem. .96 just works. I've done many high detailed videos and screenshots, it was a joy to use. .97 has brought me untold performance problems, knocking the setting down to 70% didn't cure it. I thought what the hell, see if 50% does anything and indeed it does, no more HDD chugging. .97 seems skewed in vram management somehow. Anything higher the game gets bogged down quickly and becomes unusable like its going way beyond and possibly what software can report and resorting to HDD after a few minutes of play. Maybe even windows heuristics on my end but please note I can use .96 without issues as with every other game or app. Please don't quote talking about 0.5Gb on the GTX 970. I've posted many times using my GTX 580 when 0.97 released 1-2 years ago about excessive HDD activity and poor performance. 0.96 is silent even when vram is maxed out. SE .97.0 onwards is resorting to using my HDD even when set at 70-80% vram in the settings what ever GPU is used. This is posted more towards Space Engineer or Harbingerdawn. Did you guys look at the se.log i posted? i'm in real need of help! My question is one that has been asked before, however there appears to be no reply to them. I apologize if I am inconveniencing anyone. What is happening is that every time I enter our solar system (Sol) the software crashes. Sol was fine in 0.9.7.1, but now it is not in 0.9.7.2. What's wrong? Hello guys, I am new to this forum and in dire need of help..
Just as I click the planetarium... the game crashes... everytime... I dont even load any planet or anything, it just crashes... As I click Planetarium, it loads but the message of crash occurs... Please help..